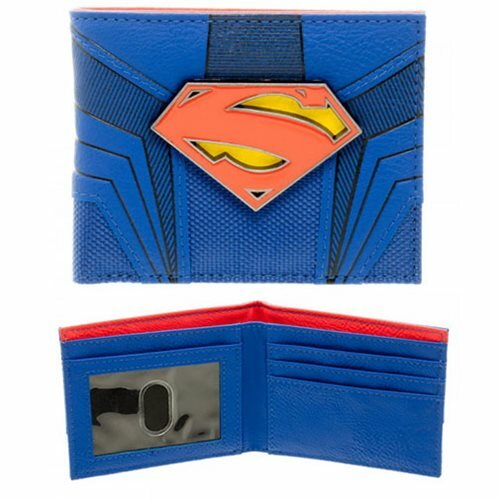 Suit up with this Superman Suit Up Bi-Fold Wallet. Designed from Superman's suit, this wallet is trimmed with Red and made with blue textured faux leather. This wallet includes a bill compartment, 3 side slots, 1 ID window slot, and 2 hidden slots. Complete with Superman's logo, hold your valuables with superhero style. Measures about 4 1/2-inches long x 3 1/2-inches tall closed. Ages 14 and up.